CUTHBERT, JAMES, army officer, merchant, justice of the peace, and legislative councillor; b. c. 1719, probably at Farness (Highlands), Scotland, son of Alexander and Beatrix Cuthbert; m. 1749 Margaret Mackenzie; m. secondly 1766 Catherine Cairns, and they had three sons and seven daughters; m. thirdly 23 March 1786 Rebecca Stockton; d. 17 Sept. 1798 at Berthier-en-haut (Berthierville, Que.). 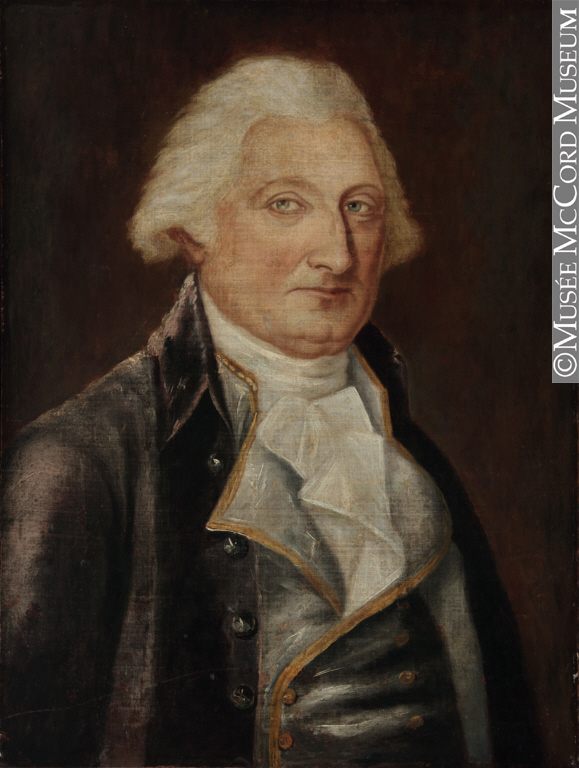 The descendant of an old noble family, James Cuthbert began his career in the Royal Navy. Captain and commanding officer of an independent infantry company by October 1760, he was also a captain in the 101st Foot until December 1762, when he transferred to the 15th Foot. 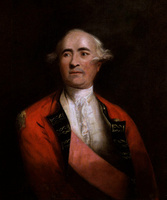 Cuthbert was a member of Murray’s staff at Quebec; in 1765 he left the army. The following year, before departing for England, Murray appointed Cuthbert to the Council of Quebec (14 June) and made him a justice of the peace. The new councillor quickly found himself in conflict with Lieutenant Governor Guy Carleton*, Murray’s successor. The circumstances of Murray’s departure – he had been recalled to England as a result of pressure applied by the colony’s merchants – led his supporters to give Carleton a chilly reception. Carleton responded by immediately classing them as an opposition party. 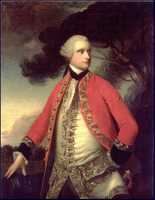 Like the other hostile councillors, Cuthbert was severely critical of Carleton when in 1766 the new lieutenant governor, having consulted only part of the council, made a temporary ruling on a dispute over access to the king’s posts; the decision was contrary to Murray’s policy and favoured his enemy George Allsopp*. In addition, Cuthbert and Murray’s other appointees fiercely opposed Carleton when he gave precedence in council to members appointed by the king. Cuthbert carved out a place for himself in society by becoming a seigneur; on 7 March 1765 he bought the seigneury of Berthier, where he had a manor-house built, and between 1770 and 1781 he acquired Du Sablé, known as Nouvelle-York, and part of Lanoraie, Dautré, and Maskinongé. However, he was severely affected by the American invasion of 1775–76. He alienated his censitaires by the authoritarian methods he used to have them perform their military service. In June 1776 the Americans burned his manor-house and did more than £3,000 damage to his property at Berthier, in revenge, according to Cuthbert, for his having saved Lieutenant-Colonel Simon Fraser, 700 to 800 soldiers, and seven British ships at Trois-Rivières. He was, moreover, sent as a prisoner to Albany, New York. After his release, he spent some time in England in 1777 before returning to Canada, probably the following year, to resume his seigneurial activities. He immediately rebuilt the manor-house at Berthier on an imposing scale. In January 1781 he made a 14-year contract to sell all the wheat from his seigneuries to Allsopp. 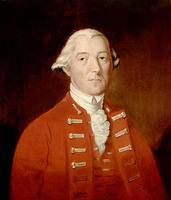 On his return to Canada, Cuthbert also took his place in the Legislative Council set up by the Quebec Act, to which he had been appointed in 1775. He clashed with Governor Haldimand on two issues in particular. First, perhaps because he was himself a justice of the peace, he opposed any decrease in the salaries of government officials, which Haldimand considered too heavy a burden for the people. Then in 1779 and 1780, when prices were sky-rocketing, and according to Haldimand Cuthbert was preparing to plunge into the wheat market, he opposed a freeze on the prices of wheat and flour and the issuance of an edict against the monopoly of certain foodstuffs. When Cuthbert spent the years 1781 to 1784 in England on business, the governor complained of his prolonged absence; in 1786 he was barred from the council and dismissed from his post as justice of the peace, without being given a reason. Proud of his aristocratic Scottish origins, Cuthbert clung to his seigneurial status. Although often haughty and difficult, he could be generous and affable, and his manor-house at Berthier was known for its hospitality; at the end of the century Prince Edward Augustus* visited weekly. Between 1786 and 1787 Cuthbert, a Presbyterian, built St Andrew’s Church at Berthier, probably the first Protestant church erected in the colony. Since his censitaires were nearly all Catholic, however, he endeavoured to display a degree of religious tolerance. In 1766 he had participated in the creation of the parish of Saint-Cuthbert by donating 60 arpents of land as the site for a church. In 1779 he supplied the stone for building the church and, later, a painting of his patron saint as well as two bells. He also gave land and materials for the construction of the church of Sainte-Geneviève on his seigneury between 1782 and 1787. Nevertheless in 1789 he publicly protested the action of Bishop Hubert in authorizing the parish priest of Berthier, Abbé Jean-Baptiste-Noël Pouget*, to receive the renunciation of the Presbyterian faith by two of his sons, Alexander and James. He had sent them, along with their brother Ross*, to study French civil law and language at the English Catholic college of Douai in France, and they had returned determined to convert. Since he was not a Catholic, Cuthbert was unable to take advantage of his seigneurial pew or the precedence due him at religious ceremonies, and so he seized the few occasions that came along to make a public display of his station – for example, the annual May planting and the seigneur’s reception of his censitaires at the manor-house when they came to pay homage. Prosperous and distinguished, Cuthbert nevertheless made many enemies and had little political influence, especially from the 1780s on. Since 1763 he had been demanding 3,000 acres of land to the rear of Berthier, on the strength of his captain’s rank in the British army at the time of the conquest; it was wasted effort. Moreover, from 1786 he made sustained but unsuccessful protests to the authorities against his exclusion from the Legislative Council and his dismissal as justice of the peace, and for several years vainly sought compensation for the damage his seigneuries had suffered during the American revolution. In 1788 he went to England where he made a fruitless attempt to have himself reinstated in his former positions, and especially to obtain compensation for damage that he claimed had been done to his seigneuries in 1779 by soldiers who had accidentally set fire to 54 acres of valuable white pine while cutting wood for the Quebec citadel. In 1792 he ran as a candidate for the House of Assembly and was defeated by Pierre-Paul Margane* de Lavaltrie in the county of Warwick, where the vast majority of voters were his own censitaires. He disputed the election results with the authorities in the colony and in London, but without success. In 1795 he returned to England in a final effort to make good his political claims, to get monetary compensation, and to obtain both a colonelcy in the militia for his seigneuries and a baronetcy in recognition of his activity and his losses during the American revolution. He was repeatedly rebuffed. Despite these failures Cuthbert remained one of the most prosperous of seigneurs: in 1790 his land yielded £1,700. With the acquisition of Dorvilliers after 1790, his seigneuries stretched about 50 miles along the St Lawrence. He also owned a summer house at Beauport and, in December 1797, he bought properties in Montreal, including a large lot with a stone house at Côteau Saint-Louis. After his sudden death at Berthier in September 1798, his sons divided his landed property among themselves, James, the eldest, inheriting Berthier, Alexander receiving Dorvilliers and the Montreal properties, and Ross inheriting the remainder. ANQ-M, Greffe de J.-J. Jorand, ler mai 1793; Greffe de P.-F. Mézière, 13 oct. 1770; Greffe de Pierre Panet, 7 mars 1765. ANQ-MBF, État civil, Anglicans, Église protestante (Trois-Rivières), 23 mars 1786. Archives civiles, Richelieu (Sorel, Qué. ), État civil, Christ Church (Berthierville), 18 Sept. 1798; Greffe de Barthélemy Faribault, 10 Sept. 1771, 13 Sept. 1774, 26 June 1777, 19 Sept., 12 Oct. 1778, 21 March 1786. Archives de la Soc. historique de Joliette (Joliette, Qué. ), Cartable famille Cuthbert. Archives de l’évêché de Joliette, Registre des lettres, Cartable Saint-Cuthbert, 1766–94; Cartable Sainte-Geneviève-de-Berthier, 1766–94. McCord Museum (Montreal), Cuthbert-Bostwick papers, 1765–1957. Doc. relatifs à l’hist. constitutionnelle, 1759–91 (Shortt et Doughty; 1921), I, 167. P.-G. Roy, Inv. concessions, I, 165; II, 186; III, 56–57, 87, 92–93; V,55. S.-A. Moreau, Précis de l’histoire de la seigneurie, de la paroisse et du comté de Berthier, P.Q. (Canada) (Berthierville, 1889). F.-J. Audet, “James Cuthbert de Berthier et sa famille; notes généalogiques et biographiques,” RSC Trans., 3rd ser., XXIX (1935), sect.i, 127–51. Du Vern [Richard Lessard], “Le fief Dorvilliers,” L’Écho de Saint-Justin (Louiseville, Qué. ), 24 mars 1938, 1. Édouard Fabre Surveyer, “James Cuthbert, père, et ses biographes,” RHAF, IV (1950–51), 74–89. D. R. McCord, “An historic Canadian family, the Cuthberts of Berthier,” Dominion Illustrated (Montreal), VII (1891), 110–12, 123–25. S.-A. Moreau, “L’honorable James Cuthbert, père, seigneur de Berthier,” BRH, VII (1901), 341–48. Jacques Rainville, “Vers notre tricentenaire,” Le Courrier de Berthier (Berthierville), 19 janv. 1967, 24 oct. 1968, 12, 26 juin, 3, 14 juill., 4, 18 sept., 2, 16, 30 oct., 13, 27 nov. 1969. Jean Poirier, “CUTHBERT, JAMES,” in Dictionary of Canadian Biography, vol. 4, University of Toronto/Université Laval, 2003–, accessed April 22, 2019, http://www.biographi.ca/en/bio/cuthbert_james_4E.html.